that explores the use of water and water imagery throughout the scriptures. Purchasing the book is not necessary, but if you would like to use a book for a personal devotional journey this Lent, we will have some available at the church for purchase ($10) OR you can purchase your own copy by clicking here. 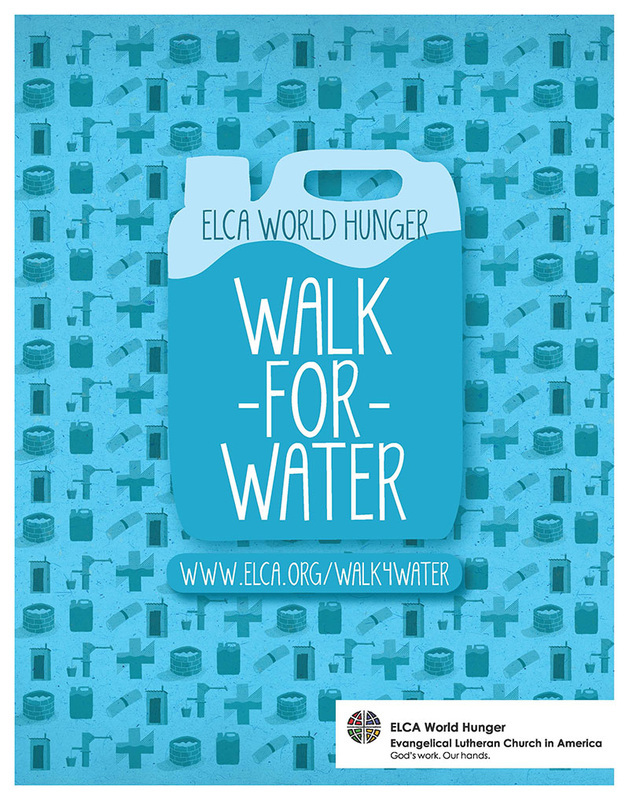 us to participate in the ELCA World Hunger Walk for Water Campaign. you will receive a water cup that you can put on your dining room table. The challenge is for us to fill a big water bottle with change. We can do that by filling these cups up with our pocket change and bringing them in to church and watch the change grow. This money will be sent with our youth to Detroit to give to the ELCA Walk for Water project on our congregation’s behalf. Our gifts will provide water for drinking, growing crops and sanitation, as well as ongoing maintenance and training, to create healthier families, stronger economies and a future filled with hope. The ELCA has a goal to raise $500,000 for ELCA World Hunger-supported water projects around the world, together we can make a difference.